This Bloomingdale newcomer from the owner of 1905 was made to resemble a grungy apartment in downtown Los Angeles. 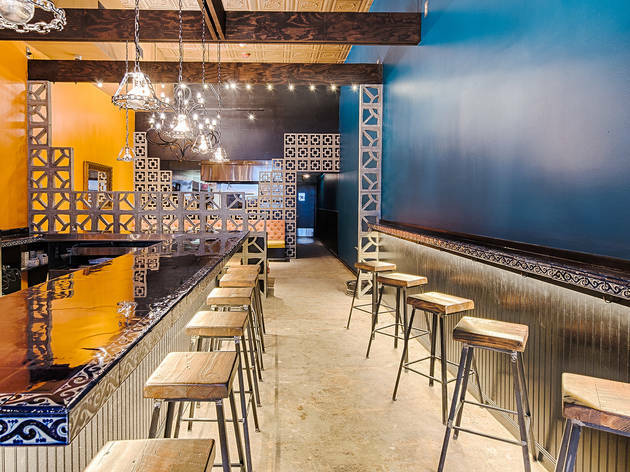 Corrugated steel, cinder blocks and lighting fixtures made from chains set the scene for tacos that cost $2.50–$3.50 (whenever you order them). 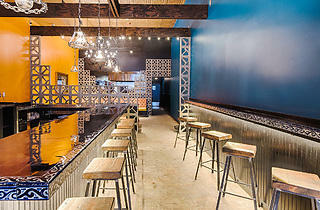 During happy hour, margaritas, draft Negra Modelo, wine and rail drinks cost just $5, and $3 buys you a Tecate tall boy. Save up your quarters for $1 chips and salsa.